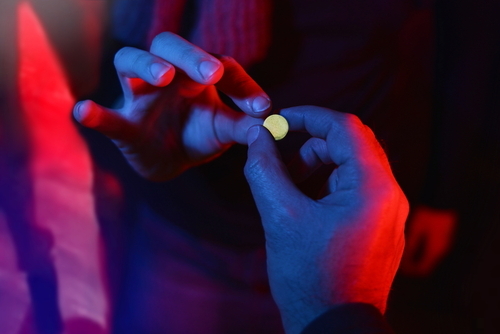 There are many stereotypes of Ecstasy addiction and individuals with the addiction. This is because the addiction is frequently misunderstood by the average person. Some of the stereotypes that need to be cleared up are below. This is a myth. The color and appearance of any ecstasy pill is meaningless. In fact, these pills are available on the black market in a variety of colors and dosages. There has even been research conducted by undercover law enforcement officials, and the conclusion is that MDMA pills can come in all colors and forms. If Ecstasy weren’t such a serious drug, this would be laughable. No, MDMA does not and cannot burn holes in a user’s brain. The reality is that Ecstasy has an effect on the brain, like, lowering the levels of neurotransmitters which are responsible for regulating sleep patterns and emotions. It is possible that it is this discovery of how the brain is affected that has led to the rumor of holes in the brain. This is completely false. There is no Heroin in Ecstasy. There were a couple of pills found in the 1990s that contained trace amounts of Heroin but there is no reason to believe that any Heroin or related opiates are present in enough Ecstasy pills to cause any concern. However, Speed and Ketamine have been found to be present in Ecstasy on different occasions. These ingredients can have the same groggy, dissociative effects as Heroin, and that is probably what gave rise to this particular rumor. When an individual gets addicted to Ecstasy, it is not a matter of willpower or morality. Addiction is a disease in the sense that is an obsession of the mind and a physical craving. An individual with an addiction often loses their control over thoughts and behaviors and the compulsion to abuse the drug overtakes all other tendencies. For eg, a rational person will know that taking an illegal drug and then driving a car is a bad and unsafe decision, and will not do it. Conversely, someone who is suffering from addiction doesn’t have such rational thoughts, and will make that wrong decision. This has nothing to do with willpower. It is a false assumption by most people that because Ecstasy is an illegal drug, and not as common as marijuana or alcohol, that it requires less treatment time. Simply put, this is untrue. There are different stages of recovery, and a good treatment program ensures that the appropriate therapy and care is provided for each stage. Relapse is also a fact of recovery, and a relapse prevention plan is essential. This is yet another myth. According to studies, drug rehab centers treatment have been able to reduce substance abuse by 40 to 60 percent. This has also led to significant reduction in criminal activities and an improvement in employment prospects. Drug treatment programs help the individual to form new habits and adopt a healthier lifestyle, that is not conducive to drugs and harmful behavior. Hired Power provides information and resources for addiction intervention and recovery. If you are looking for more information on addiction recovery, please contact us.